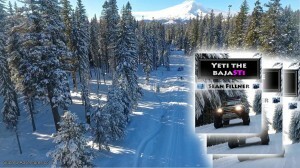 Subaru-Adventures.com would like to share with you the book, Yeti the BajaSTi, by Sean Fillner. 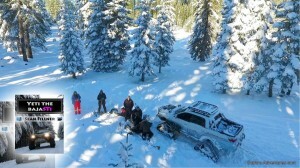 The story of one mans dream to conquer the snow in a Subaru. I wish more Subaru enthusiasts would write motivated and passionate builds like Sean in his book. Sean goes in depth and slowly describes the transformation involved with the Baja and was not afraid to explain the mistakes he had to go through to pursue his dream. His never give up attitude and pursuance to complete such a transformation from a stock vehicle shows that anything is possible. Writing a journal and taking photos during any project will be appreciated for years to come. There will always be constructive criticism taken on any project, but for Sean he took them as advice and ways on improving the build. And this is what I admire, the Petter Solberg’s ‘Never Give up’ Attitude. And that’s why this book is an inspiration to read. Feel free to watch the film created by BDudasProductions from the adventure in December of 2016. “When I look at these pictures they make me cringe but I felt all of you should realize when going into an area that Mother Nature controls it can lead into a bit of a hiccup at times. While Bryan, Patrick, Cody, Braden, Willow and myself set out in December 2016 to do some snow camping we had no idea this would happen. Bryan wanted to get some night shots and as I was backing up a hill with about 4 feet of fresh unpacked powder I started to get sucked down a steep embankment. I tried to over correct and eventually came to a stop when an aftermarket tie rod broke. There were enough threads to reattach it but trying to do the repair at this angle would have been a death wish. We tubbed the mattrack that had the broken tie rod and winched with my tiny terra 4500 for a couple of hours to get it out of the ditch and back onto the road to do the repairs. Surprisingly enough the only damage was a bent strut, broken tie rod, and one large bogey let loose so one of the tracks came off. Once on flat ground all of this was fixed with ease. You can see in the film that the front drivers side Mattracks was sitting at quite a bit of positive camber later, especially on the trailer shots at the end. Total cost of the damage was about 100 bucks to revert back to oem tie rods (fusible link, I carry multiples now), and 1 new kyb gr2 strut. The bogey was easily repaired by reinserting the bearings and retainer clips. The track was easily removed and reset after the bogey was repaired. It looks really bad in the photos but in reality there was not much to it. The beauty of Mattracks is that they are very serviceable out in the middle of nowhere with a few hand tools. They definitely planned this out through great engineering and in this situation I was very thankful for that.